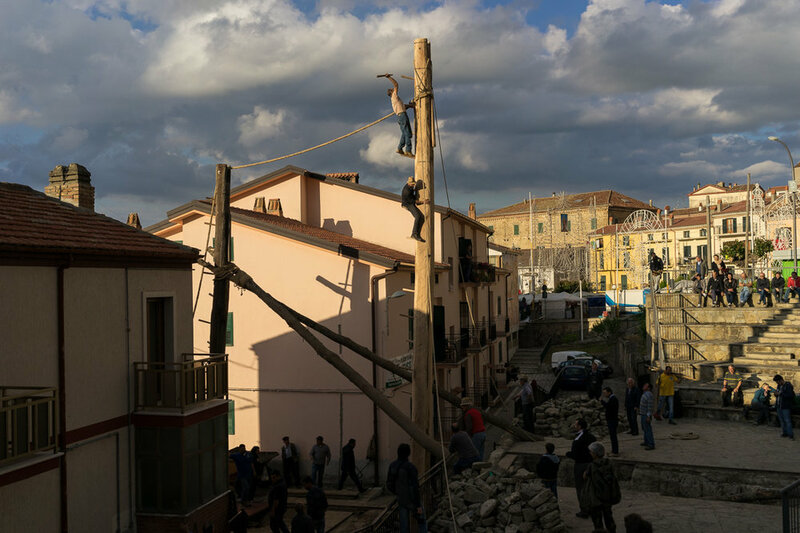 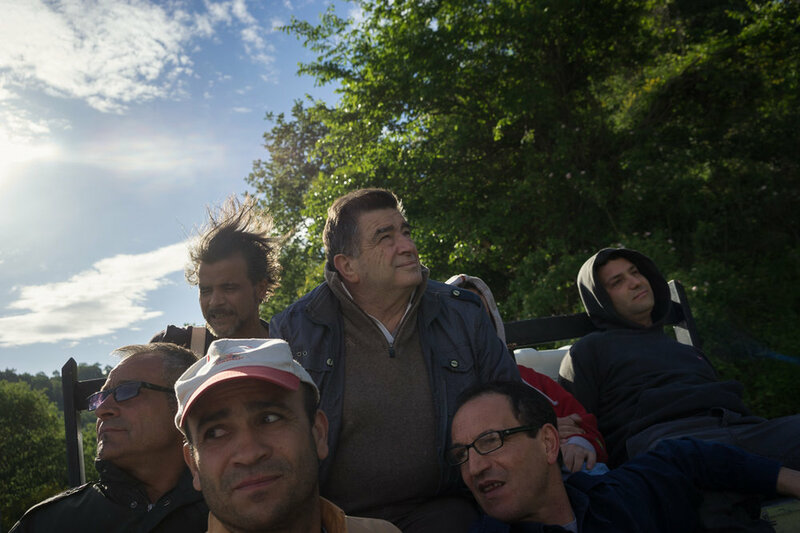 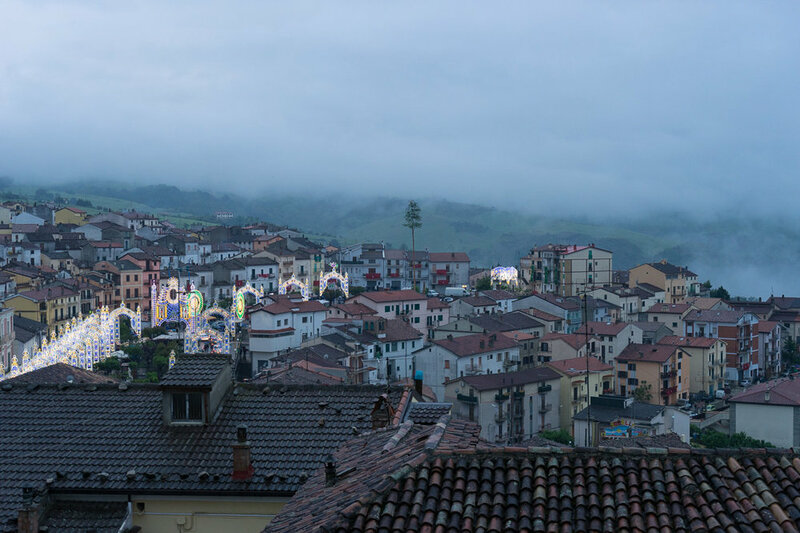 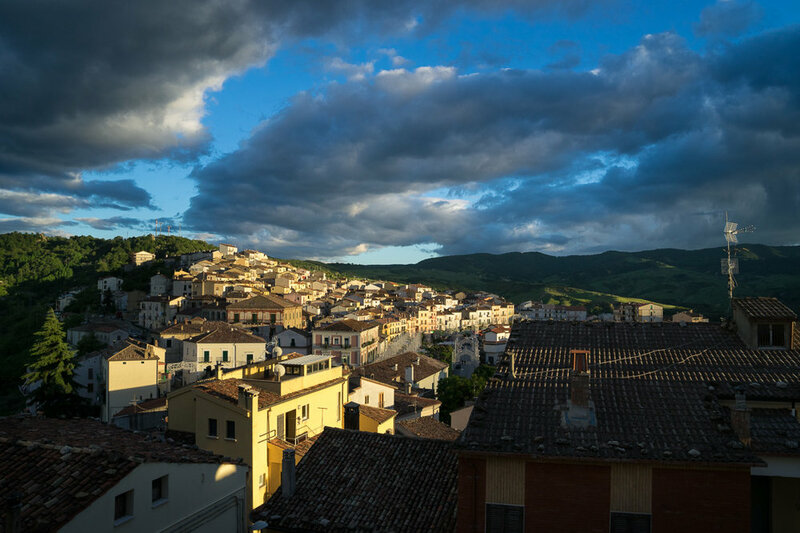 The small, isolated town of Accettura, comes to life with a burst of vibrant tradition for the “Maggio di Accettura” festival of May - one of the most important celebrations of the year for it’s inhabitants. 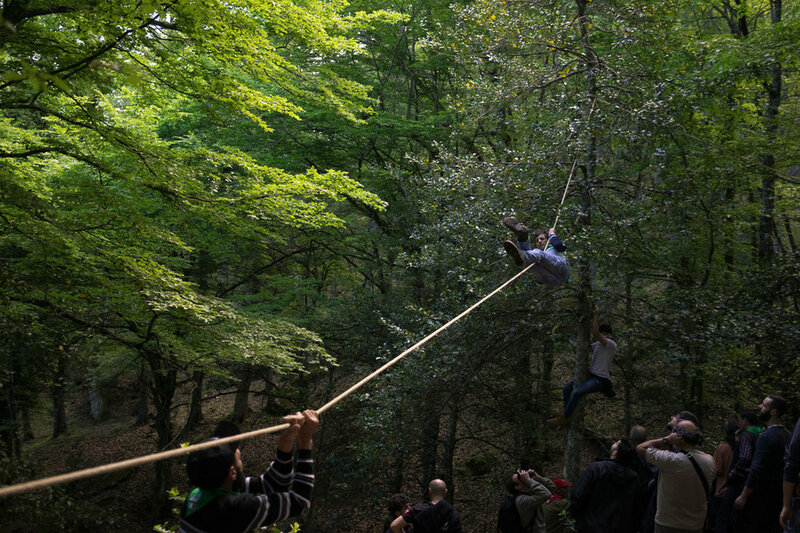 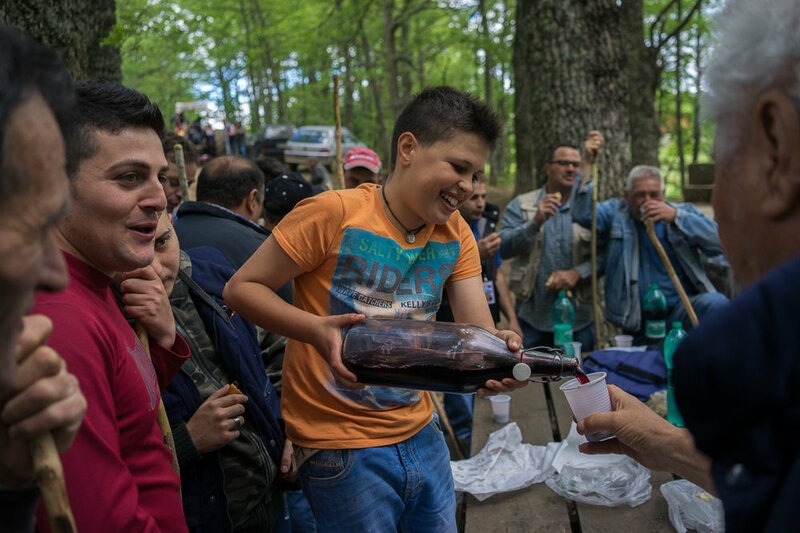 Surrounded by forests, in the remote region of Basilicata, Southern Italy, Accettura stands almost untouched by time during its annual celebration. 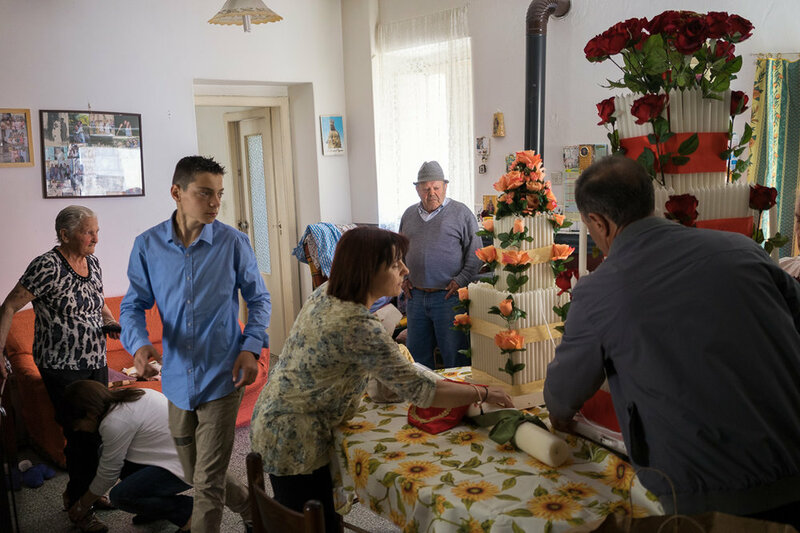 Still rich in tradition, celebrating festivals that date back to Pagan times - its isolation has allowed for such preservation. 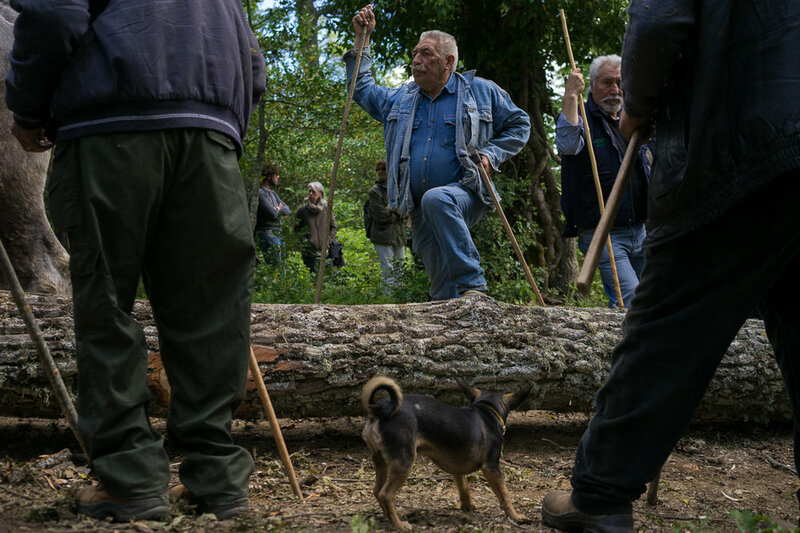 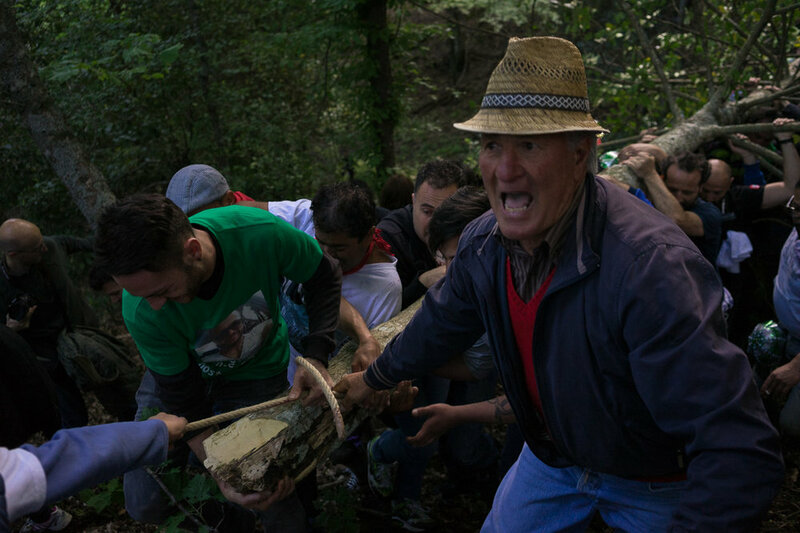 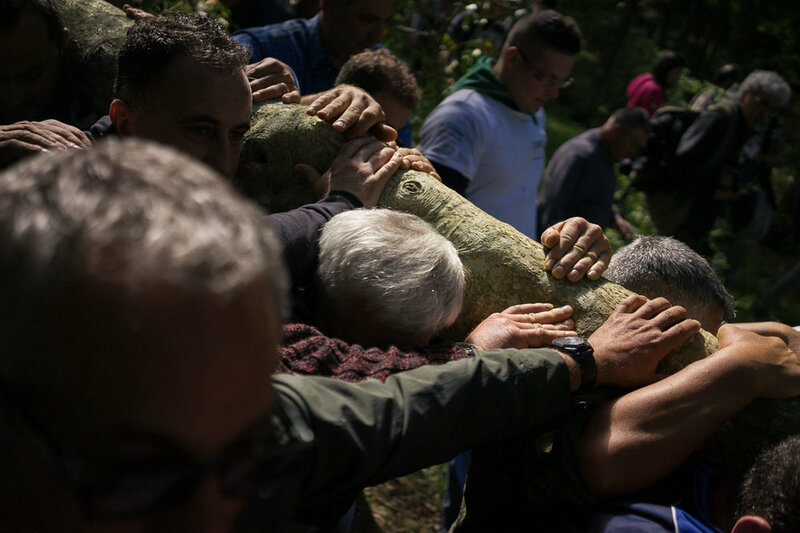 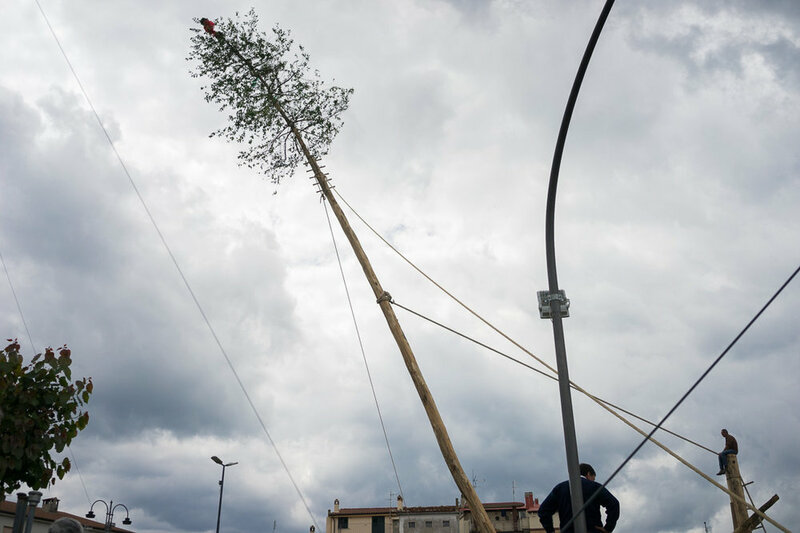 Maggio Di Accettura, being a four-day Pagan fertility ritual that has survived over the centuries, where two trees - the “Maggio” a tall old oak, and the “cima” a holly tree - are cut from the forests surrounding Accettura, to be transported back into town. 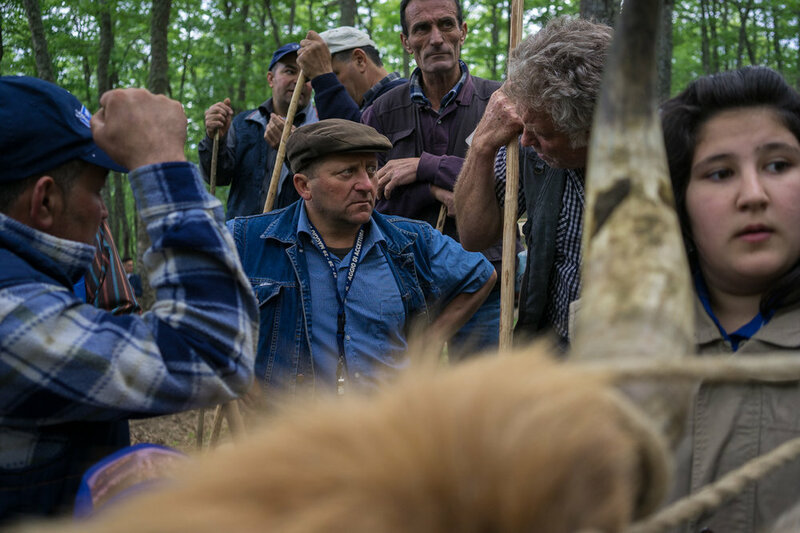 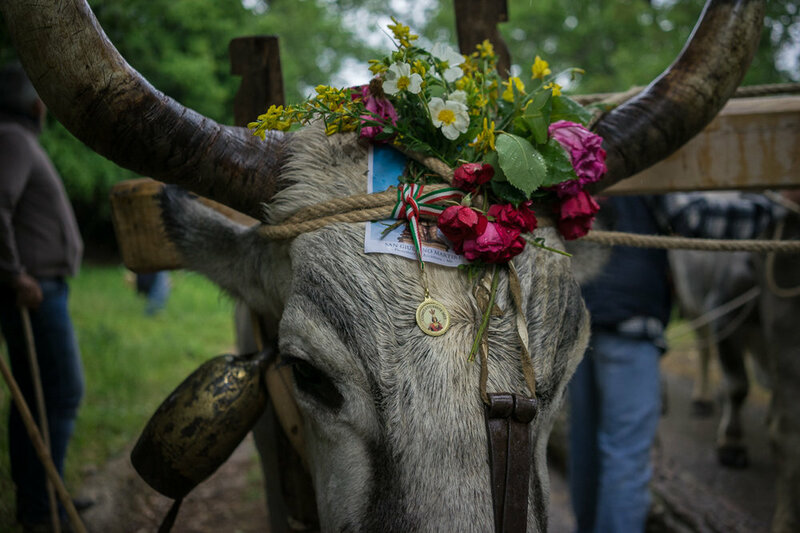 The Maggio pulled by one-hundred oxen that are bred for the occasion, while the Cima is carried on shoulder by the town’s young men for over 20 km. 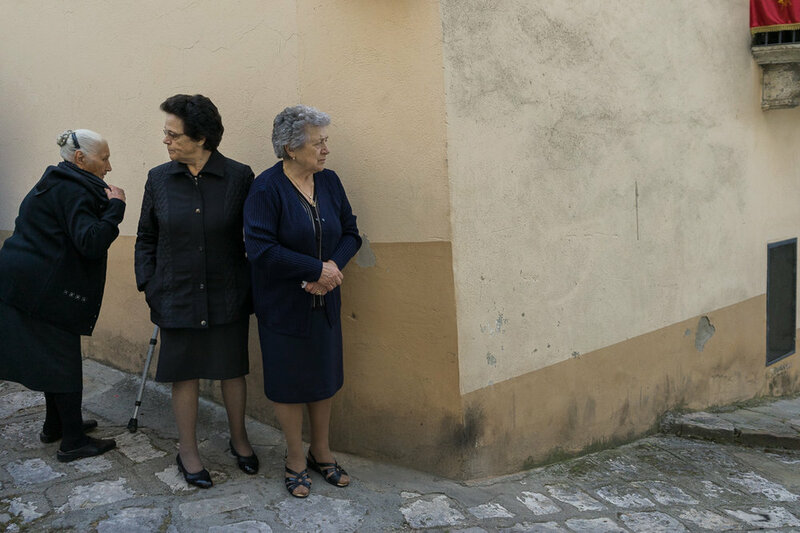 Where they are later joined in a symbolic wedding ceremony. 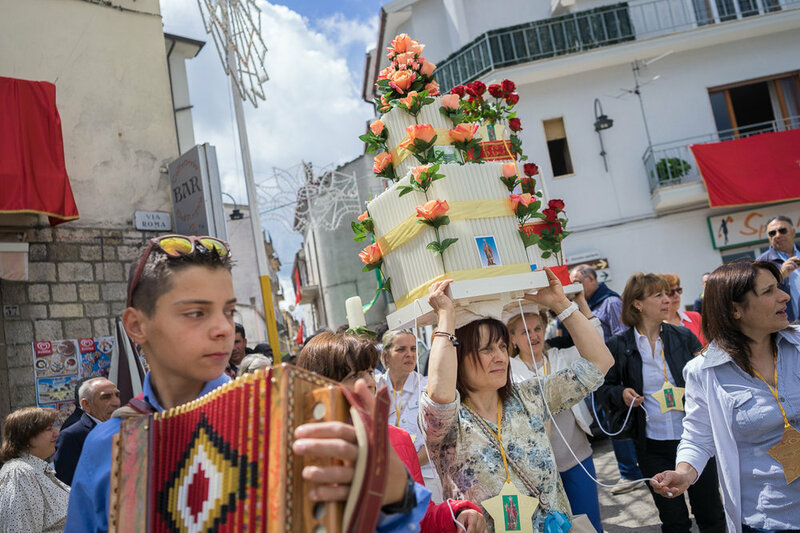 With the festival being of such great significance to the community, every year hundreds of emigrants dispersed all over Europe and the State's, return back to Accettura, to attend and partake in the celebrations. 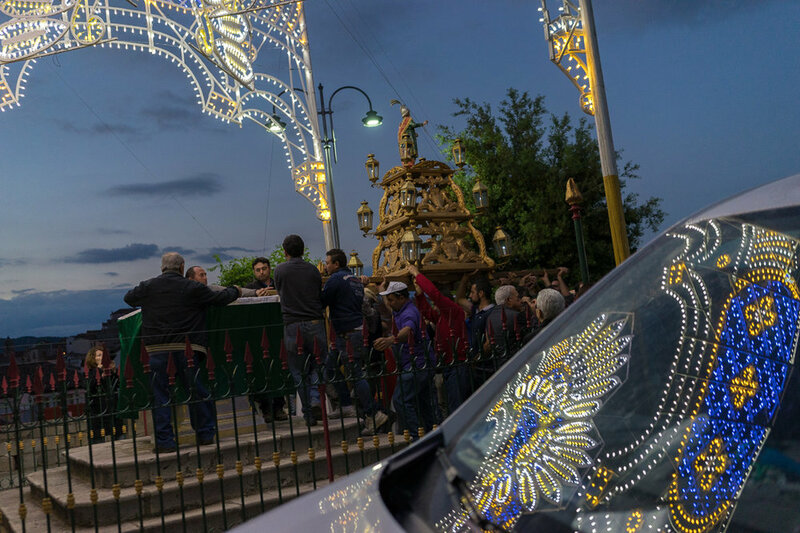 The Maggio di Accettura, is a unique combination of paganism and religion, belief and superstition, excessive partying, hard work, and traditional craftsmanship.